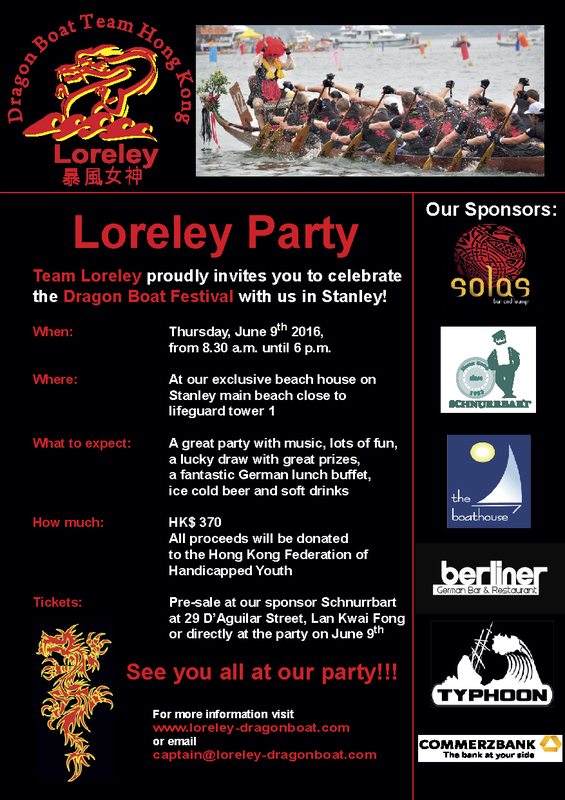 Welcome to the Dragon Boat Team Loreley Hong Kong ! Our official recruiting season has ended; please follow us on our Facebook page for updates! 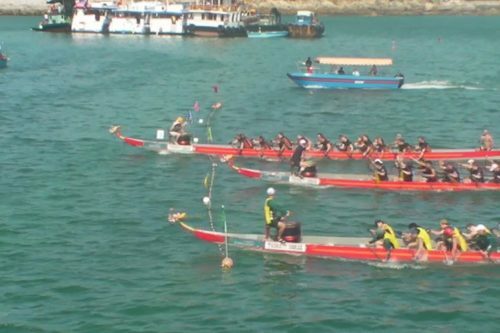 Team Loreley (暴風女神; “Goddess of the Storm”) has a long history in Hong Kong and is participating in various dragon boat races around Hong Kong, including in the famous Sun Life International Race in Stanley. 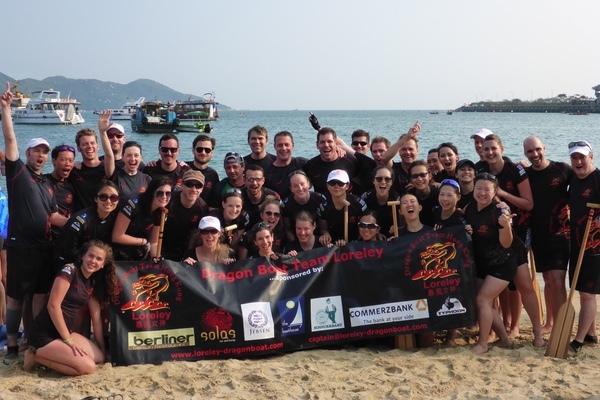 Even though the name “Loreley” is a German name, our team is not. 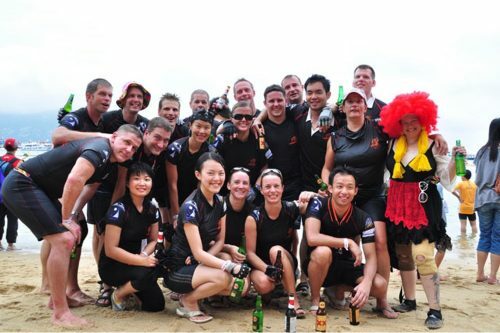 We are a truly international Dragon Boat Team with members from all over the world. If you want to join the team, or just try out dragon boating, please drop us a line! As this is a team sport, everybody contributes to the team, trains hard and has to listen to the coach or captain of the boat! 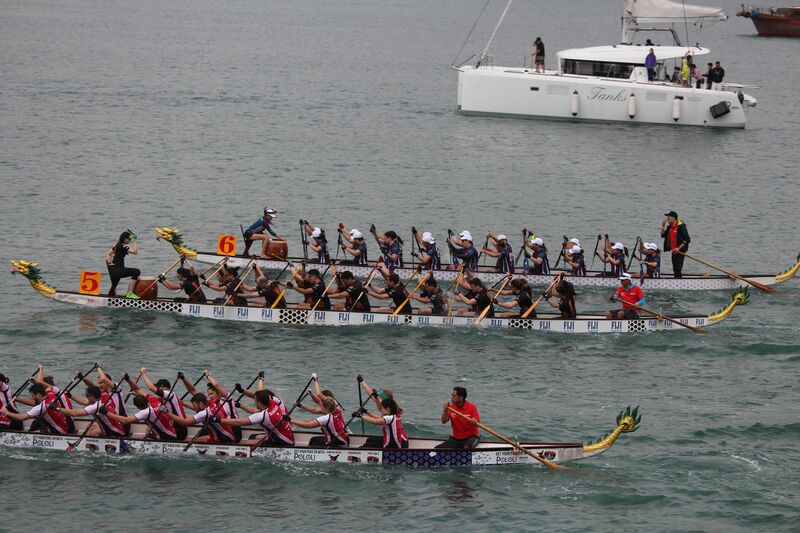 But paddling is also about fun and not all is about competition. Team Loreley is socially engaged and supports the Federation of the Handicapped Youth in Hong Kong. 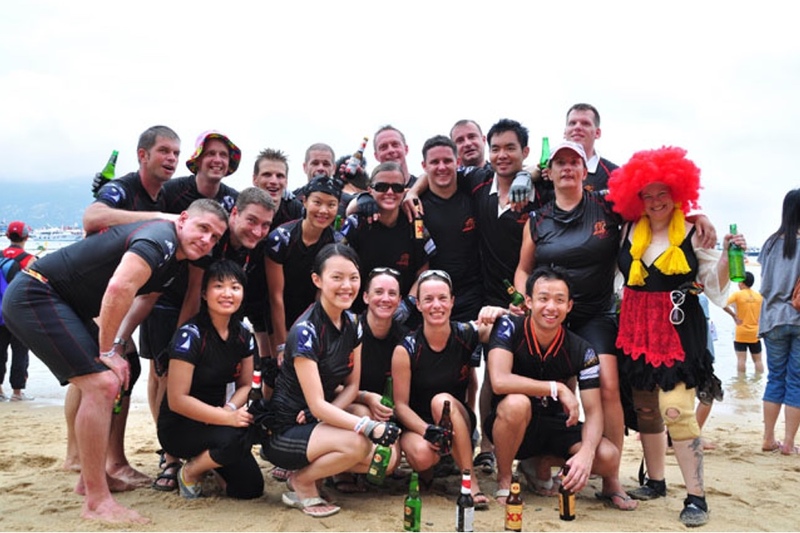 Our after-training get-togethers are fun and reward you for your great efforts for the team during training. 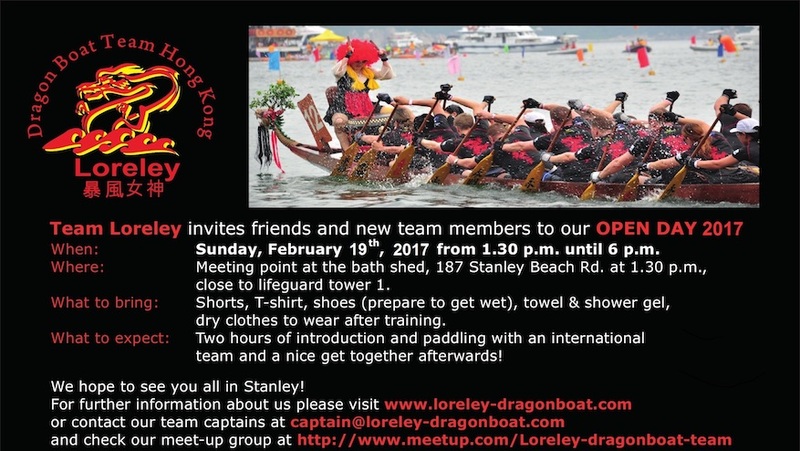 If you have more questions or would like to join the team, send us an e-mail or simply come to a training session in Stanley. 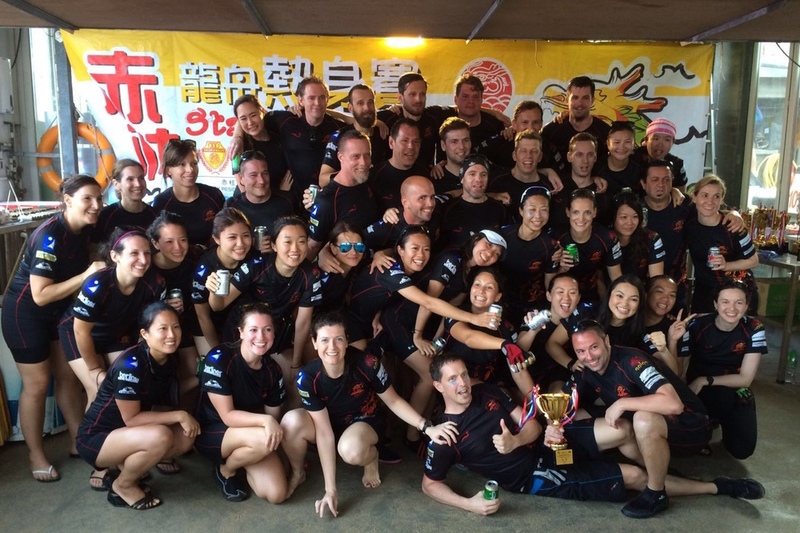 Our recruiting for this season has ended. Please check back in summer for any upcoming open sessions! We meet every Thursday evening and Sunday afternoon. 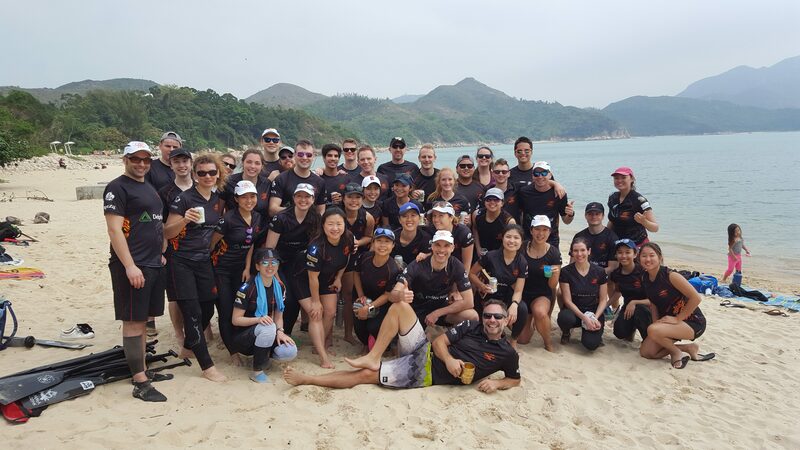 At the beginning of the season, our fitness trainers from Strength Culture will meet us at Hong Kong Park on Thursday nights to help us build up strength. 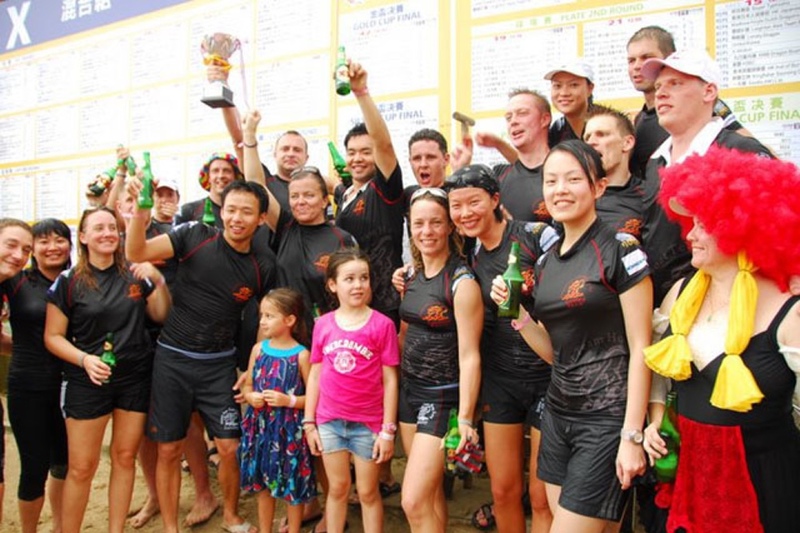 Starting from mid-April, we will have water trainings in Stanley on Thursday nights. Please arrive at least 30 minutes before the start of the session in order to receive some technical and safety instructions. 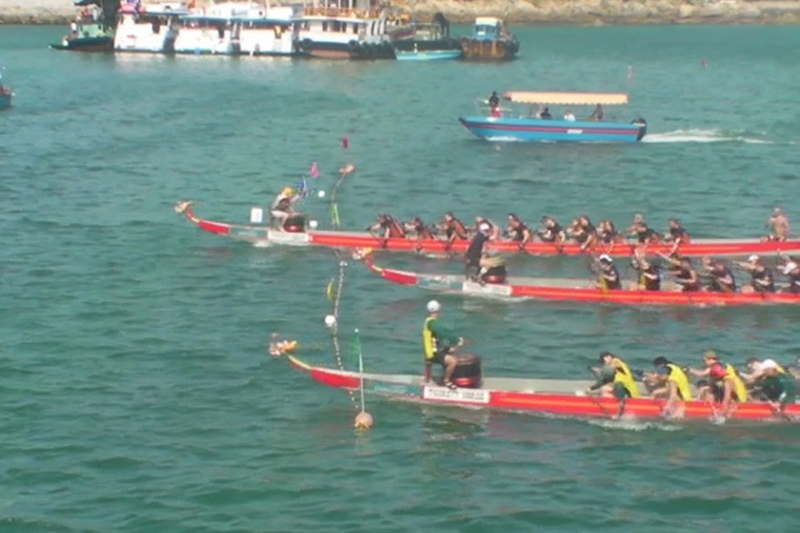 The boat will leave the beach on time and we will usually not return to pick up late crew members!! !